But Meg is playing with fire. Pitting two boys against one another, even if she doesn't intend to, could end badly if she isn't careful. 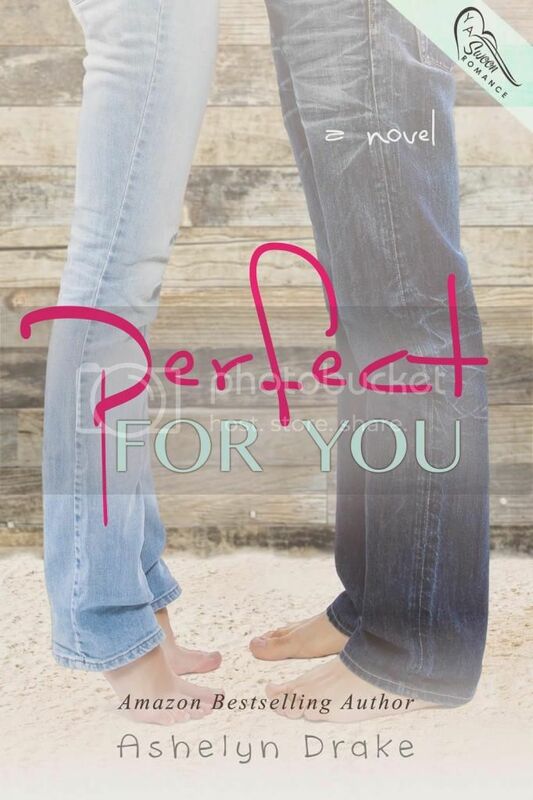 PERFECT FOR YOU is a teen romance from bestselling author Ashelyn Drake, where one girl will risk everything to find her perfect match. Hi, everyone. I’m Ashelyn Drake, and I’d like to introduce you all to the main character of Perfect For You, Meg Flannigan. Meg: Hi. Thanks for having me. Ashelyn: Of course. I hope you don’t mind if I jump right to some tough questions. Meg: Oh, um okay. I guess. Ashelyn: Meg, you and Ash have been together for five months. Why haven’t you told him you love him? Meg: What girl wants to be the first to say the L-word? I definitely do love Ash, but I’d feel better if he said it first. Ashelyn: I totally get that. What’s your favorite thing about Ash? Meg: He makes me feel like I’m the most important person in the world. No one’s ever made me feel that way before. Ashelyn: So then why does Noah get to you so much? Meg: *sigh* Noah is the guy I’ve wanted to date since my ex, Derrick, decided to shove his tongue down another girl’s throat instead of manning up and breaking up with me. Noah’s the girl every girl wants to date. He’s gorgeous, popular, a tennis player, and totally confident. Ashelyn: Sounds like you’re still crushing on him. Meg: It’s hard to just make feelings go away. Ashelyn: I agree. But what does Noah’s sudden interest in you mean for your relationship with Ash. Meg: I love Ash. I don’t want to lose him. Ashelyn: So, you’re going to send Noah packing? Meg: I don’t want to hurt him. Ashelyn: Is this thing with Noah more than a crush? Is that why you’re holding on to him? Meg: I should probably go now. If I’m late to practice Coach will kill me. Ashelyn: Well, since she’s out of here I guess we’ll have to read the book to find out how she handles having feelings for two different guys. Perfect for you sounds like a good coming of age book. I would like to read this and find out what happens.